If brownies are your bae and you want nothing but that on your platter, everyday, we suggest you get in touch with these guys - they'll have some flavours you won't want to miss. Are your mid-day and mid-night cravings all dedicated to brownies? With Love, Brownies are basically are entering our dessert scenes, with their brownies real quick and stunning flavours. 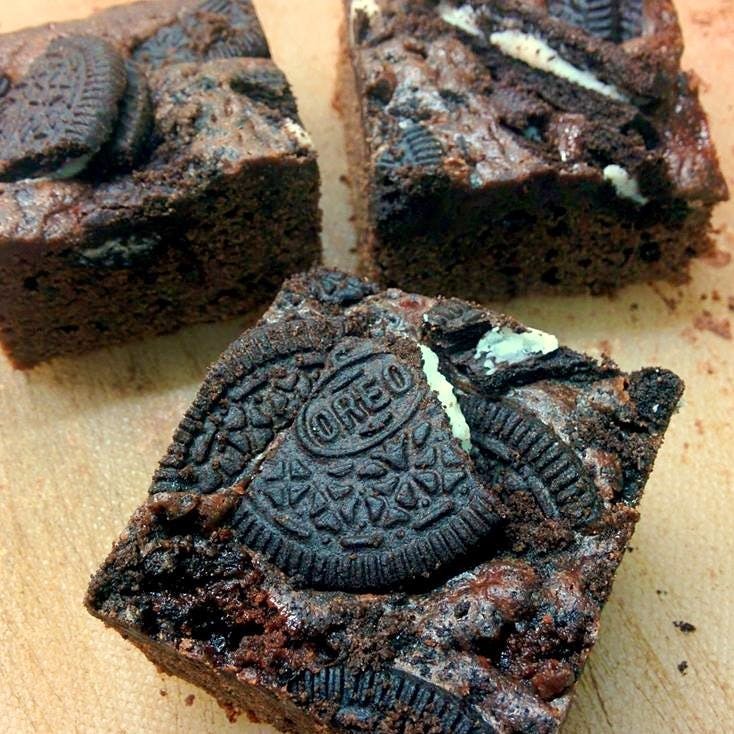 Chocolate chip, hazelnut, cream cheese, Oreo, After 8 and more - these brownies are definitely worth a try. They mainly specialize in brownies and have spread out to products like brownie jars and brownie towers. Their products are egg-less and made out of a Dutch-processed premium couverture chocolates. Go through their page, it'll be like exploring a brownie land! These brownies have a shelf life of 5 days (outside a refrigerator) and 10 days (when stored in a refrigerator). Their minimum order is a pack of four brownies for small orders and require atleast a day of prior notice, whereas the larger orders take about 2-3 days of prior notice. Although their flavours are pretty cool, if you have a personal favourite that you'd like in your brownies, they will customize for you. All of their products range between INR 90 and INR 1,800. They believe brownies make the best gifts (we also kinda agree), and their products are mostly made from the gifting perspective. Their packaging is customized for various occasions like birthdays, weddings, anniversaries etc. However, if you have a different purpose, they will customize your packaging for you, provided the order meets the criteria of 100 pieces, minimum. They have delivery options available - even at midnight (at an added expense), or you can pick it up from the work-stations in Salt Lake and Southern Avenue. Absolutely nothing. We love almost everything about them. They have a couple of exhibitions lined up, if you happen to have plans for Gravity and Pinwheel, keep an eye out for them.